This post is a variation on what I have called an indispensability argument. My original formulation can be found here, and I have made some further comments here. 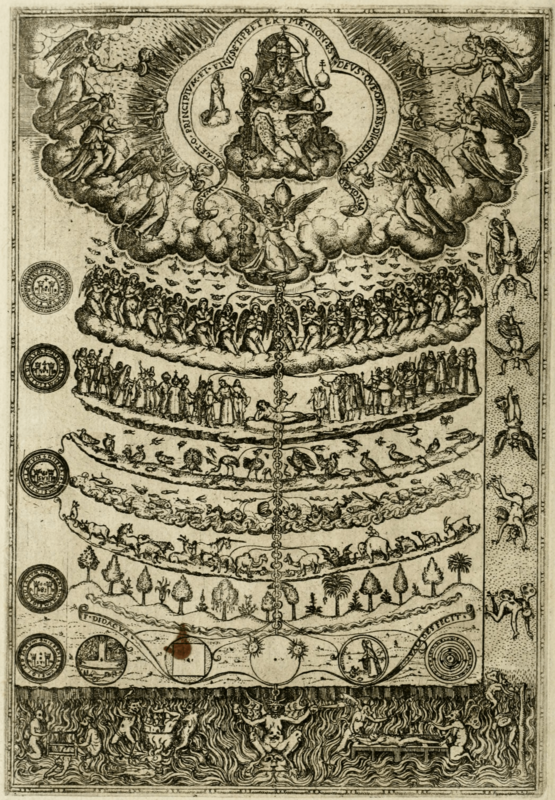 In this post, I thought I would do a take on the argument using Voltaire’s famous dictum “Si Dieu n’existait pas, il faudrait l’inventer” as an explicit premise (Epistle to the author of the book, The Three Impostors, 1768). 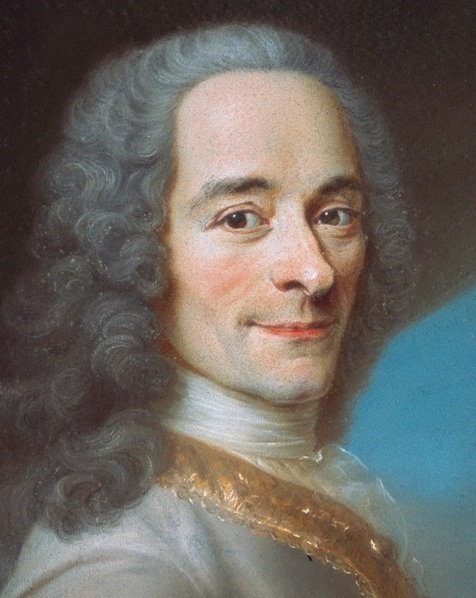 As an aside, it is commonly supposed that, since Voltaire was critical of organized religion, he was an atheist. Voltaire was a deist. In fact, in the poem where he says that if God does not exist, it would be necessary to invent him, Voltaire doesn’t merely refer to God as some generic super-being, but as the “supreme essence.” So it seems that he has something like a perfect being, or the God of the philosophers, in mind, at least in this poem. I find the following argument cogent, and I think historical reflection makes the premises plausible. Thoughts are always appreciated, of course, though I anticipate some objections below. In this argument, I want to grant the Voltairean Premise, though I suspect most atheists would attack it with a Laplacean counter that “I have no need for that hypothesis.” Indeed, Laplace did not have a need to invoke God to explain the motion of the planets, but I don’t think that was Voltaire’s point. Rather, he was talking about the need of the concept of God for social cohesion. But, I think the concept of God plays a larger role than merely grounding natural law for a social contract, or putting the fear of hellfire into the hearts of the criminally minded and depraved. There is a necessity of God in many aspects of philosophical speculation. It is out of the concept of God that various philosophical concepts found further development, such as the notions of free will, personhood, simplicity, and aseity. The concept of God has helped thinkers clarify concepts surrounding Being, substance, essence, the relationship between eternality and time, etc. I suspect that the concept of God, a perfect being, was necessary in the intellectual development of our civilization. Whether one thinks that God is currently necessary to ground human rights and dignity, natural law, it happened that way historically. So it is important to note that the concept of this God, the God of the philosophers, is one that is both maximally great and fecund. If the concept of God, a perfect being, is incoherent then such a history would be surprising, since incoherent concepts are not really all that necessary for anything. I take a concept to be incoherent if the sense of the concept is implicitly contradictory. Such a concept would not be any more necessary for deriving other philosophically interesting concepts than any other incoherent concept. For, impossibilities trivially imply anything and everything. Nonetheless, real work and reflection has gone into inferring the attributes and implications of the God of the philosophers. It is true that theologians and philosophers have come to contrary conclusions from the concept of God, but the steps by which they reach those contrary conclusions are comprehensible and not merely based on an explicit use of the principle of explosion or by being arbitrary. Often times the dispute is based on one philosopher taking an attribute or the concept of perfection to have a different sense than what another philosopher thinks. They genuinely disagree. So, it is not the case that they are simply picking out contradictions—contradictions that they would bashfully agree are there within the concept of God all along— and reaching contrary conclusions. They are actually disagreeing on basic definitions of terms that they think are implied by perfection. That being said, there is some consensus that has grown around perfect being theology. For instance, God’s power does not imply the ability to do the logically impossible, and God cannot make free-agents always do what is morally right. There are still genuine disputes over the details of a maximally great being, or a perfect being, but few would dispute that such a being would be necessary, omnipotent, omniscient, and morally perfect. Some dispute whether God’s omniscience is propositional. For instance, if God is absolutely simple, there can be no composition in God’s knowledge, and so it cannot be based on the composition of subject terms and predicates in the mind of God. But these sorts of disputes are not willy-nilly where anything goes. The disputes are rigorous, and based on careful definitions. So, it seems to me that while the concept of God is not settled upon by all philosophers, there are definite rules around how to do natural theology, and limits upon what the God concept entails. One might also argue that, though the concept of God, the God of the philosophers, is incoherent, various aspects of the concept are coherent, and it is those aspects that have been fecund in the history of philosophy. This doesn’t seem to be the case, however. Rather, it is typically the confluence of various divine attributes that have generated so many ideas. Perhaps even more to the point, if classical theism and absolute divine simplicity are granted, then these philosophers are not really considering a confluence of God’s attributes, but one essence that reveals itself to us an a variety of ways. That thought itself has produced some of the most penetrating theology in Judaism, Christianity, and Islam. The entire Summa Theologiae is built upon this foundation, brick by syllogistic brick. Perhaps that brick was all straw, but the Summa itself has produced entire schools of philosophy and theology. I think the concept of God was a historical necessity and philosophical necessity, one born out of a reflection on the divine, the perfect, and the infinite. That this concept is both necessary and incoherent would be surprising since, as I have said, any incoherent concept could do the job of generating random inferences. I don’t think that is what the concept of God has been doing in our history. I don’t think it is there as an incoherency from which surprising and profound thoughts emerge. The concept of God gives us traction in a way that a round-square does not. Round-squares or squared-circles might in some sense be “meaningful” concepts, but they are not necessary to invent. In fact, it is not entirely clear that they are concepts, at least in the sense that they can be conceived in the mind. It seems more the case that one is conceiving of roundness and squareness and noting that they cannot be predicated of the same Euclidean plane figure. They are more an oddity, a conceptual contradiction. Their use is merely as a stand-in for any obvious instance of an impossibility. As for premises (3) and (4), they are relatively uncontroversial rules of logic, and I will not go into defending them here. I know some people lament S5, but the issue is not whether the axiom is true, but rather, whether we genuinely know whether something is logically possible rather than, say, merely epistemically possible. I think my defense of (2) makes it clear that I am not merely saying that the God concept is conceivable, but that it contains no incoherency in it. So, I think that if Voltaire’s dictum is right, and the necessity of a concept implies its coherence, we have good reason to think God actually does exist. Is this argument subject to parody? I think not, and much for the same reason I did not think an ontological argument using the comparative “more actual” is susceptible to parody. Consider, for instance, Gaunilo’s perfect island. It seems incoherent to define an island as “that island than which none more transcendent can be conceived.” The very nature of an island is such that it does not transcend the limits of water on all of its sides. Otherwise, it would cease to be an island! “Very well,” you might think, “let’s say that it does not transcend watery limitations, but it does transcend all other limits.” Well, which ones must such an island transcend? Must it transcend all limits as to the amount of sand it has on its beach? Would it have an actual infinity of sand on the beach? Perhaps there is some physical restriction you would want to place on the amount of sand, otherwise the gravitation would be so great that it would be more like a super-massive black hole than an island resort. Ah, but it transcends all physical limitations, and so it would not be bound to obey gravity or other physical laws. But now it is sounding less and less like an island, which seems to at least be bound by physical laws to do with water and land. Would it be limited such that it could not be conscious? Would it be limited in power? If you grant that it would, so that it could remain island-like, then it becomes more and more ad hoc that you should insist that one of the ways in which the island than which none more transcendent is transcendent is insofar as it must exist beyond the mental. If you insist that it would be conscious, even all knowing, and all powerful to boot, then it sounds less and less like you are really talking about an island, and more and more like you are really talking about God. Perhaps you are really just saying that God could choose to manifest himself as a physical island. And perhaps this is true. But then the island isn’t so much a parody as it is a reiteration of the actual proof, while insisting that we consider God in this odd manifested form. So, if we strictly hold to the concept of “island” it is not clear that the concept of an “island than which none more transcendent can be conceived” is coherent, or physically possible. If we ditch the idea that it really is an island, as islands are traditionally conceived, the parody crumbles apart and just becomes a reiteration of the proof. There are, of course, other objections to ontological arguments. Perhaps you could mention your objections to the argument in the comments below.